Stand out Siopa Rince Dress. 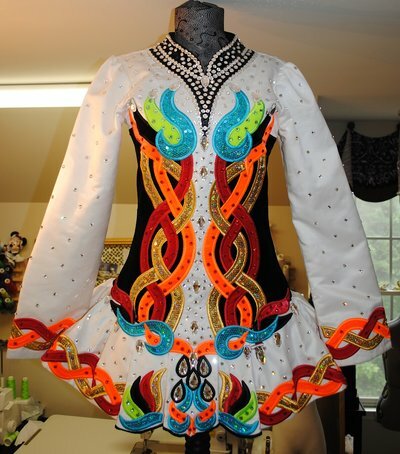 Designed specifically and displayed at the Siopa Rince dress booth at North American Championships. 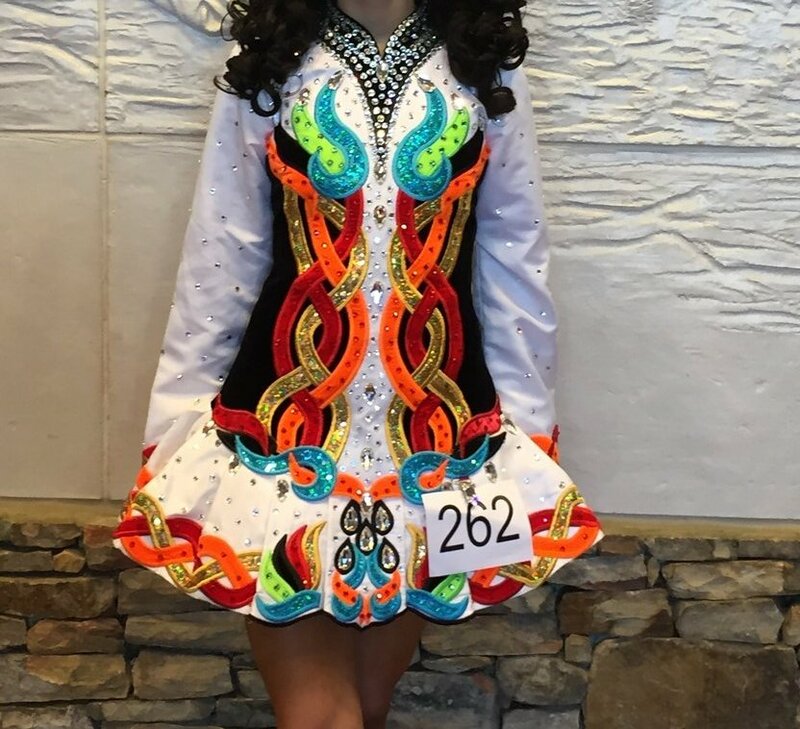 Worn by and Open Chamionship dancer – dress is adorned with hundreds of Swarovski crystals. 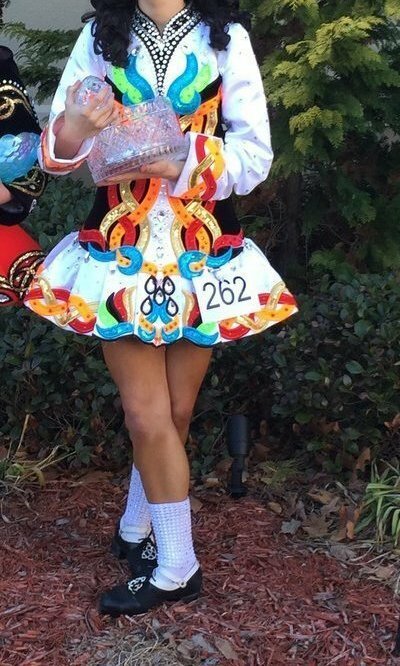 Bloomers are included.